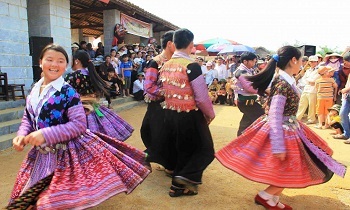 With Sapa tours, especially Sapa trekking tours, trekking through Sapa villages is the main activity of the tour, so what you need to prepare to have a perfect trip. 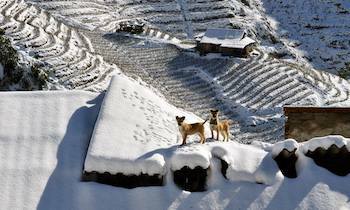 Today, we give you some tips for trekking in Sapa. 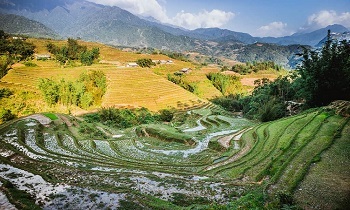 If you felt like you’re unlucky travelers who visit Sapa during, or within a week after a bad rain storm, don’t upset, you are likely in a statistical majority. 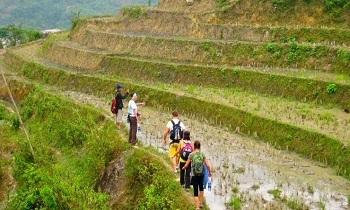 Unfortunately, the homestay treks and many days treks are on steep grades of dirt trails. The first day of trekking to the homestay was full of uninterrupted showers, producing even muddier trails for the second day of the hike. Almost everyone slipped or fell over at least one, with yours genuinely falling twice on the second day and getting a fair share of souvenir mud. 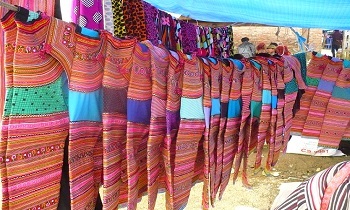 To be prepared, every village shops sell know-off items for all conditions. 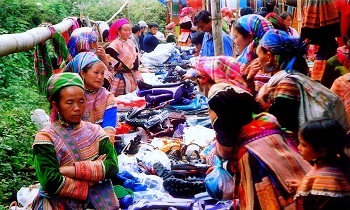 The sellers can be shewed in the bartering process, especially during the inclement weather where essential items are sold at inflated prices. Honestly, the reusable double-lined raincoat is a life saver, and full on water boots are necessary things even if just for two days. If you can get these down to 100,000 or 120,000 VN during a rain period, no doubt that your bartering is solid. You can always sell the rain boots after and break even on the investment! Make sure that you don’t miss the homestay. 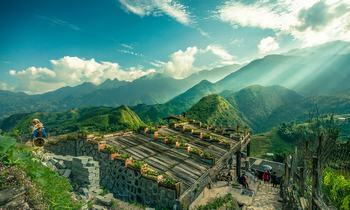 A village homestay should be a must for those who want to explore real life in Sapa. Not just for the experience of staying with local families, but for enjoying some of the most beautiful parts of the region. You can try to get outside of Sapa village, the more the scenery presents itself, and homestay provides the opportunity to get there. 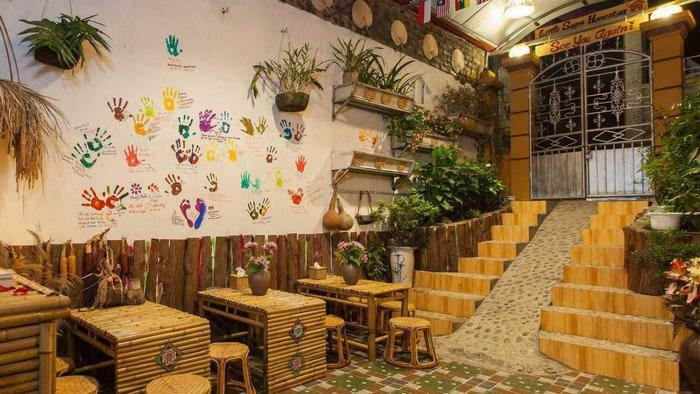 Usually, homestay is the dorm room built as an addition to the most family home, and it is said that people can only see the actual and traditional life of people on the second night. Thus if you want to discover the lifestyle of locals, you should arrange to spend two nights with them before leaving. 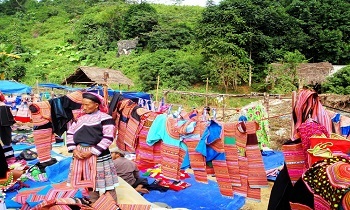 All trekkers likely have their fair share of local villagers who follow them during the trek in the hope of making a sale when reaching their village. These local women may make you feel annoyed by keep asking you “Please buy something to me” at first, but you will recognize their invaluable assistance during the bad weather as they point out the proper trails, hold hands, and are nothing less than a saving grace for the many of potential falls that could happen. Of course, if you get as much help, a $5 tip is the least you can do, most of them would be grateful for just $2 for helping on three hours or more hour hike. However, do not buy anything from one person because the others will soon flock to you and say “You bought from her but not from me, something small?” and can generally become annoying very quickly. 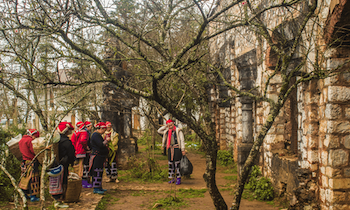 Overall, Sapa is a fantastic destination even when hiking the worst rain and mud conditions. Part of me wishes, however, that I knew how bad it was going on be in advance to be fully prepared for the trek ahead and save a few pair of clothes in the process that has since been scrapped due to the mud. 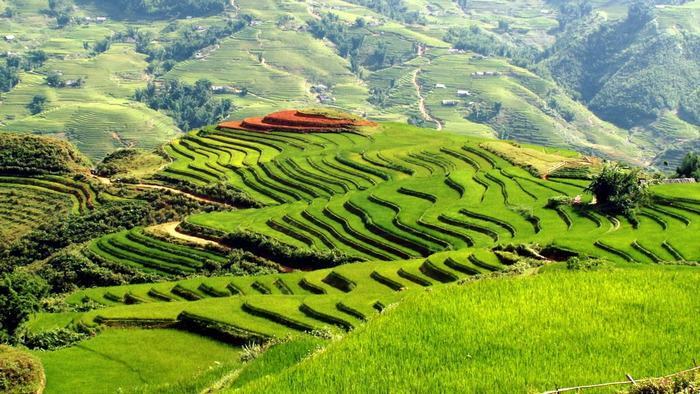 I would not discourage anyone from traveling to Sapa if the forecast is rain, but be sure to be fully prepared when you go! You won’t regret it! 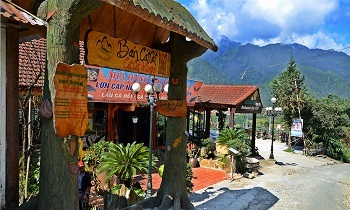 Visit your website to get further information about where to visit in Sapa. If you find this article helpful, please share with others. Have a nice trip!